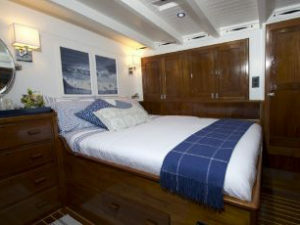 Sailing Yacht Eros is a large classing sailing yacht available for charter for veteran sailors and novice sailors alike. 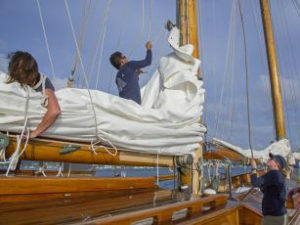 You are welcome to participate in the sailing manoeuvres or just sit back and relax and whilst the crew works the ropes for smooth sailing. 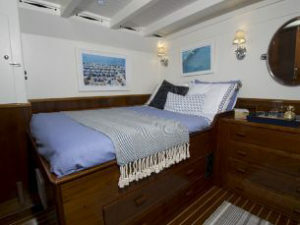 In addition SY Eros is available for charter during regattas for experienced sailors. 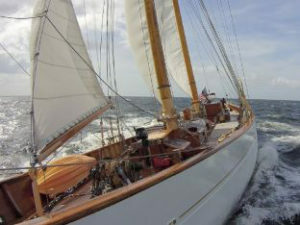 She was launch in 1939 by Brooks Motor Craft, Lowestoft, England and had a large refit in 2010 bringing her to speed of that of a luxury charter yacht of today. Her charming classic interior accommodates eight guests in one queen master double, one double with additional pullman, one double and one twin cabin. 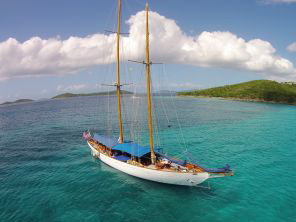 « Onboard beautiful Sailing Yacht Dove in the Caribbean » Explore the Grenadines aboard OCEAN CLUB!